Nick is an associate in the Commercial Dispute Resolution team with experience across a wide range of commercial matters for both corporate clients and high net worth individuals. 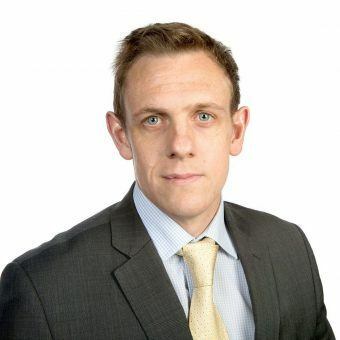 Nick has acted for and advised clients in respect of contractual disputes, shareholder disputes, breach of warranty claims, commercial fraud matters, professional negligence claims and international litigation. Acted for a company in the telecommunications sector and succeeding with a high value quantum meruit claim in the Mercantile Court. Acted for an individual client in respect of a shareholder dispute; achieving a successful resolution for the client further to issuing a section 994 petition. Acted for a foreign based property developer and its managing director in defending a class action issued in England by approximately 400 purchasers (largely British Nationals) of its properties. Nick is a former professional squash player who competed on the World Squash Tour reaching a career high world ranking of #256. He also represented Bradford/Leeds Universities Centre of Excellence at cricket against various first class counties. He remains active on both fronts in his spare time.